The industry's finest extruded I-beam aluminum frames. 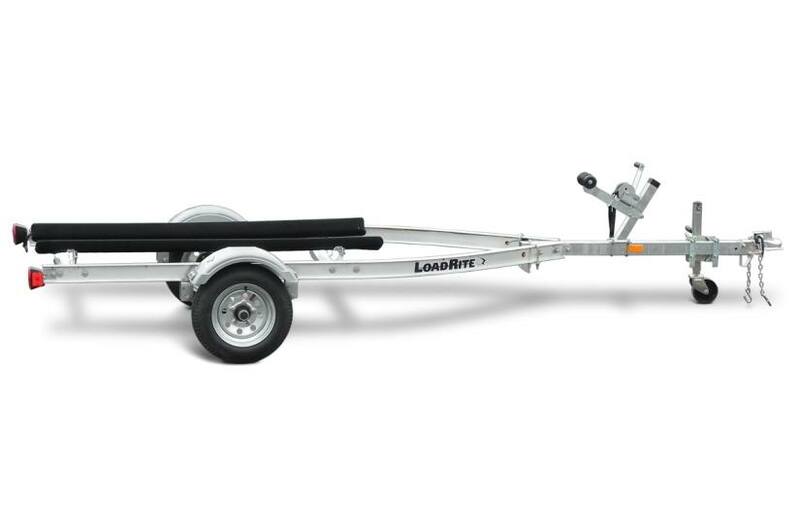 Single model comfortably holds up to 1,200 lb., while the two-place model boasts capacity of up to 2,450 lb. Pressure-treated, carpeted, fully adjustable bunks safely cradle any PWC. Stylish plastic or diamond-plate fenders, along with options like LED lighting and aluminum wheels, make this model line stand out from all the competition. The premium aluminum two-place model LR-AWV2450 is standard with LED lights, radial tires, torsion axle, and a tongue jack.